(Butler, PA) Butler County Community College announced a $1 million gift this week by Mr. Robert R. Heaton, a real estate developer and lifelong Butler resident, to fund a library renovation on BC3's main campus. The $1 million is the largest gift ever made by Mr. Heaton and the largest gift ever received by the College in its 50-year history. Last year, the Commonwealth awarded BC3 a $2.35 million grant to fund half of the $4.7 million library capital renovation. The $1 million gift will go toward funding the remaining $2.35 million for the redesign of the current library. To reflect the 21st century nature of the project, the facility will be renamed The Heaton Family Learning Commons. The announcement was made on Tuesday by BC3 President Nick Neupauer. "The new Heaton Family Learning Commons will be the heart of the campus," Neupauer said. "There is no question this gift is a game-changer for our institution." Renovations to the 25,000 square-foot facility are expected to take around 18 months. Plans to revamp the building will include a new entrance, large windows, a café, a balcony with outdoor seating and study rooms, as well as new computers and tablets. The library hasn't been renovated since it opened in 1973. The renovation will transform the library into a state-of-the-art learning commons. “I’ve been inspired. I love this little college,” Heaton said. Heaton also made a surprise announcement that an additional $200,000 from the Logan Family Trust would be added to the Glenn R. and Rhea J. McCandless Logan Endowed Scholarship that he and attorney Tim Shaffer established through the BC3 Education Foundation, Inc. last September. Glenn Logan was Mr. Heaton's former business partner. 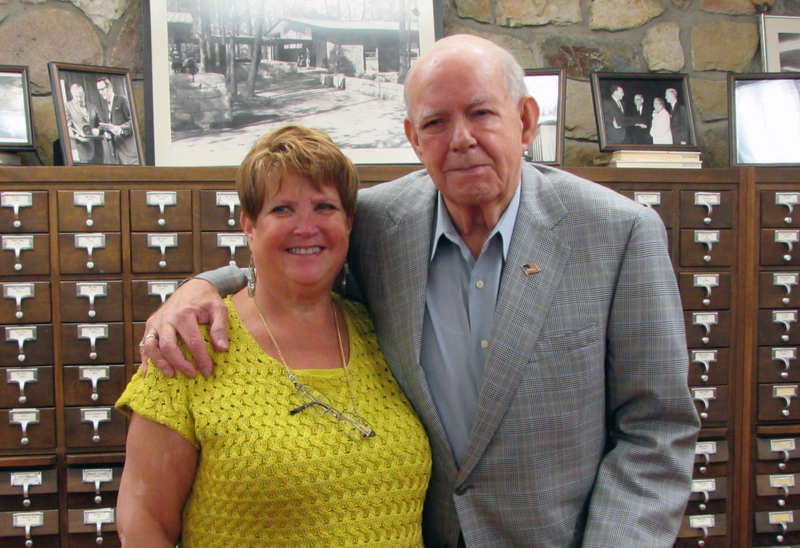 Heaton and Shaffer are administrators of the Logan Family Trust.